Student Music Now On iTunes, Napster, Rhapsody & more | MusicEdTech: Teach music. The technology will follow. 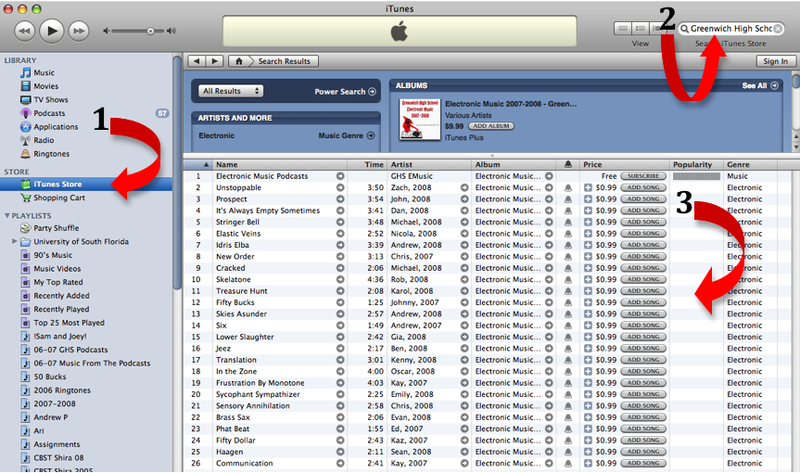 3 – Purchase music. Each tune is $.99 or the entire CD of 25 tunes can be purchased for $9.99. All proceeds go directly to the GHS EMusic Student Activities Account.